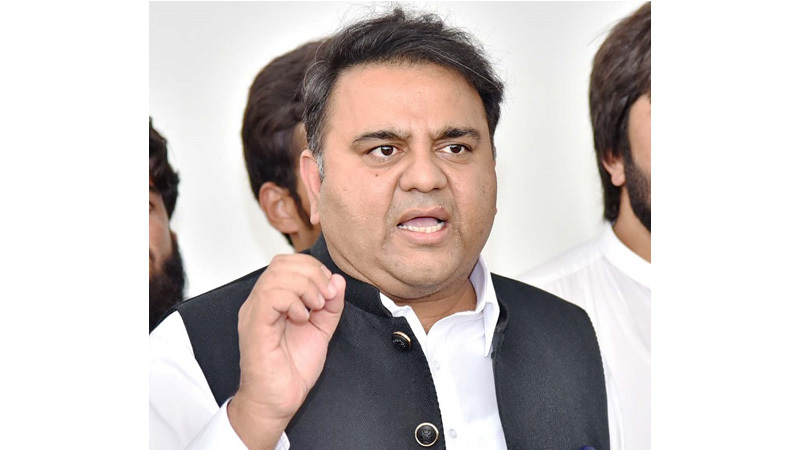 Minister for Information and Broadcasting Chaudhry Fawad Hussain Tuesday said Prime Minister Imran Khan would inaugurate a new visa regime on Thursday to supplement the tourism policy for attracting people and companies from across the world. Fawad said Pak-Turkey relations were rooted in history and after the recent incident of Pulwama, no other country supported narrative of Pakistan as was done by Turkey. It was not surprising as the relationship of Pakistan and Turkey had historical significance. Pakistan was based on two nation theory and after Sir Syed Ahmed Khan, the political movement that jolted the theory was the Khilafat movement, he explained. “This was not support for any person and system but the people of sub-continent supported the people of Turkey,” he said adding the bilateral ties were not dependent on a philosophy or an individual but was based on people to people contacts. Fawad said President of Turkey Recep Tayyip Erdogan stood with Pakistan in the recent regional situation which was a matter of extreme satisfaction. He noted that during recent tensions with India, Pakistani media acted responsibly and because of that stance, Pakistan was appreciated and the country gained stature in the world. He stressed that narrative of Pakistan was accepted by the world and today one could see that India had been isolated and Pakistan had gained edge. The minister said, “We wanted to strengthen our media narrative with modern technology. We are revamping our news agency Associated Press of Pakistan (APP) and it will be made digital service of Pakistan in the next coming months with setting up of a section.” The digital presence of Pakistan government and state would be brought at par with rest of the world, he added. “We are wooing the international press so they come and we can promote our narrative. Today’s wars are wars of ideas and are not with fought with arms and ammunition.” He said Indian Prime Minister Narendra Modi tried to create war hysteria and a certain atmosphere, but he had to retreat when he saw the attitude of international media and sensed that his narrative was not selling. Ambassador of Turkey to Pakistan Ihsan Mustafa Yurdakul and Anadolu Agency’s Deputy Director General Mustafa Ozkaya spoke briefly about the news agency, Pakistan Turkey ties and the kind of news stories the agency wanted to share with the world. The ceremony was attended by Managing Director Associated Press of Pakistan (APP) Qamarullah Chaudhry, Editor-in-Chief Metin Mutanoglu, World Languages Editor-in-Chief Mehmet Ozturk, International News Editor-in-Chief Faruk Tokat, Head of International Operations Muhammed Ural Yesil and prominent journalists. The Editorial Board of Turkish News Agency thanked the minister for extending corporation with regards to the establishment of regional news office of Anadolu news agency. The delegation said Pakistan was a serene and safe country and it was their obligation to showcase it as one of the attractive destinations, open for trade, investment and tourism.